Wow. The two pictures of chordoid glioma show very different histologies. Can you comment on that if you get a chance? These pictures came from the same case. I did this in order to demonstrate the heterogeneity of the images. These cases can be confused with a number of other tumors in this location including pituicytoma (infundibuloma) and granular cell tumors. 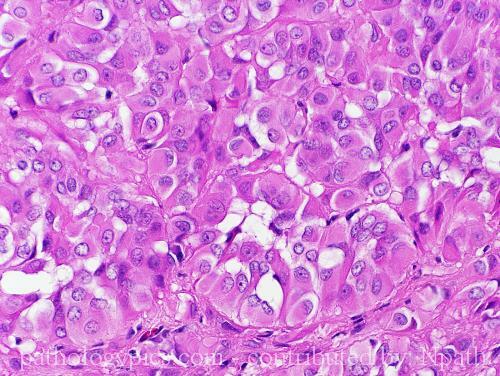 However, the chordoid arrangement of the tumor cells, often accompanied by lymphocytes, is characteristic.